A sick building… but the brave developer of this building, Caves Valley Partners, was invested in bringing a former premier building back to the heart of town in Towson. 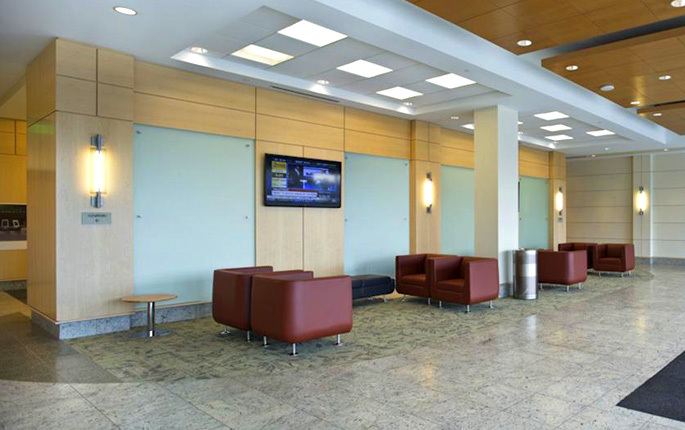 A LEED approach led to a fully occupied 13 story building for the developer’s corporate office as well as Towson University’s College of Health Professions, TU Radio Station, a restaurant and cafe, as well as other tenants. Carol Currotto, as a member of the Brasher Design team, developed program and space planning for the developer on 5 floors of the building, for Towson University on 4 floors of the building and also designed interiors for the public spaces.